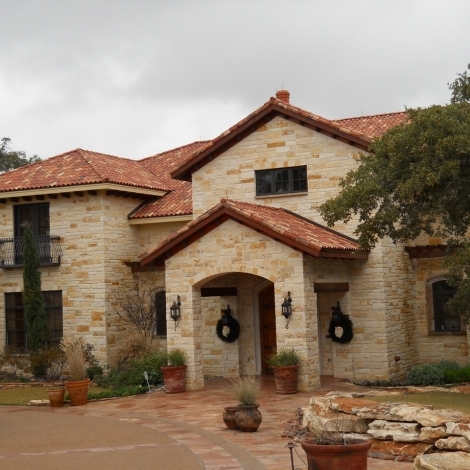 Vincent’s Roofing, Inc. began business in 1994 as a one-man operation. Since then, we have grown to a highly respected company with over 60 employees. By providing superior service, we have established sound relationships with our clients to continue our steady growth. All of our best work is backed with the industry’s best warranties. We service La Grange, Schulenburg, Weimar, Columbus, Giddings, Smithville, Bastrop, Fayetteville, Round Top, Carmine, Burton, Brenham, Yoakum, Cuero, Lexington, Lincoln, Dime Box, Ellinger, and other surrounding areas. We also serve Lake Charles, LA and surrounding areas! 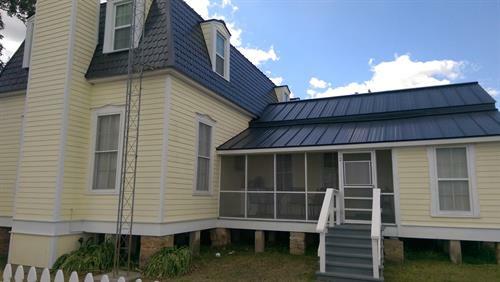 We install Standing Seam and Screw-down Metal Roofs, 3-Tab, Architectural and Designer shingles, Clay, Concrete and Slate Tile roofs, TPO flat roofs, siding, windows and painting. Want to increase the resale value of your home and lower your home-owner's insurance by 35%? A gutter system can save potentially thousands of dollars in structural damages. About 6 miles out of La Grange, Texas heading towards Schulenburg on the right..